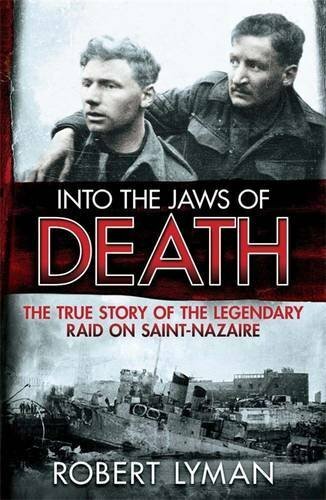 On the night of 28 March 1942, the Royal Navy and British Commandoes assaulted the German-held French Atlantic port of Saint-Nazaire in one of the most audacious raids of the Second World War. Their plan was simple: to drive an old destroyer packed with three tons of explosives at full speed into the outer gate of the Normandie dock. Its complements of Commandos would then rush out to engage the town's garrison, and blow up a series of carefully selected targets. Fewer than half the men who went on the mission returned alive. In recognition of their extraordinary bravery, eighty-nine decorations were awarded, including five Victoria Crosses. Into the Jaws of Death is a gripping story of high daring that demonstrates how the decisive courage of a small group of men brought hope and light during one of their country's darkest hours. I saw men burn alive in the petrol that covered the surface, while others sank in bloody foam as they succumbed to their wounds. With the screams of the dying ringing above the noise of gunfire, and the fierce glare of the flames lighting up the harbour, it was a scene from the worst of nightmares. What made it different was that we ourselves were inside the nightmare. Ordinary Seaman Ralph Batteson.